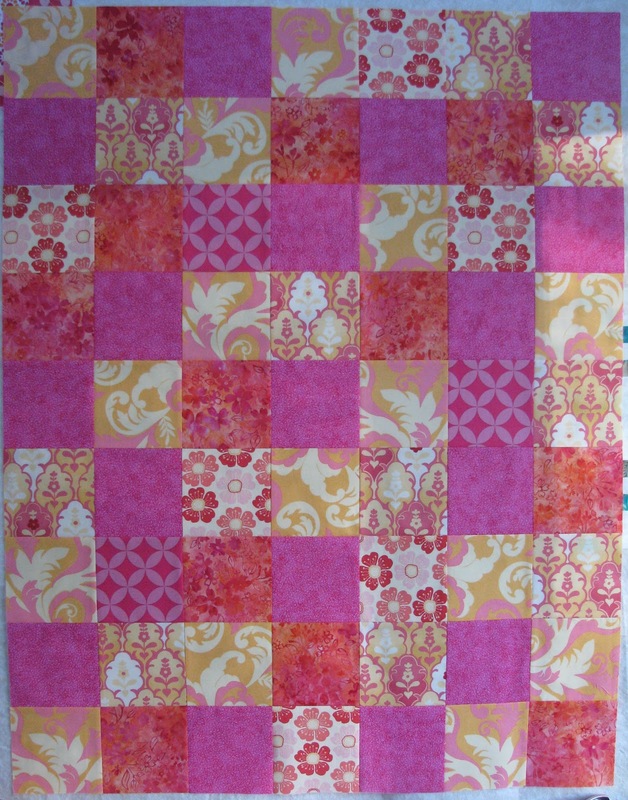 Last night I had some sewing time, and wanted something easy and relaxing; so I pulled out a stack of blocks I had set aside for a baby quilt (intended for donation). Thinking I might try to get this one quilted and finished up this weekend...we'll see. Linking up to Finish it up Friday this week. I did a quick finish this week too. Sometimes we need those to keep our sanity...or at least I do! I love your colors, they make me think of warm summer days, which I am missing right now! Love the colors! I love pink and orange.